Adderall – What is it? Adderall is a brand name of amphetamine salts-based medication used for attention deficit hyperactivity disorder and narcolepsy. It is thought to work by increasing the amount of dopamine and norepinephrine in between synapses in the brain because the drug is a potent dopamine reuptake inhibitor and norepinephrine reuptake inhibitor. Like other stimulant prescription drugs, Adderall directly affects the mesolimbic reward pathway in the brain. 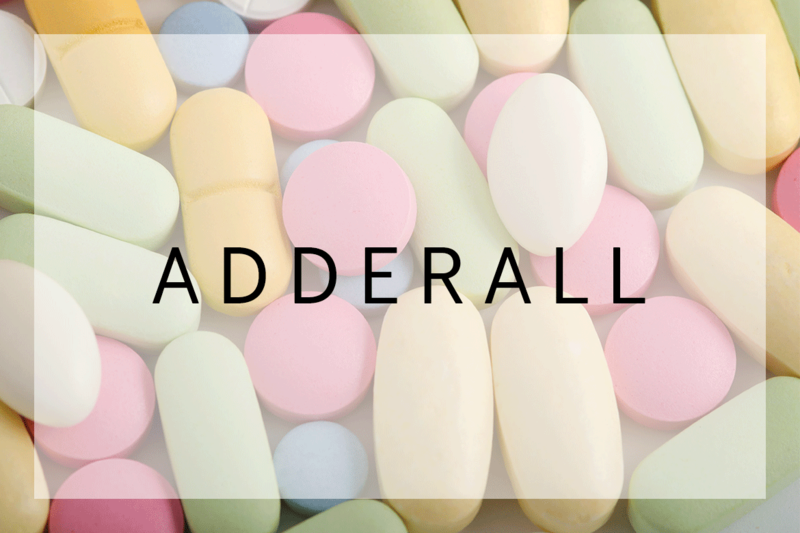 Adderall – Use or Abuse? Adderall – IQ Boost or Energy Boost? Common “off-label” uses of adderall include using it as a study drug to increase focus and decrease the perceived need for sleep, taking it as a party drug to get a euphoric high or to counterbalance/ lessen the effects of other drugs (e.g. sedation from alcohol or disorientation from marijuana), and using it as an appetite suppressant for weight management/ weight loss purposes. If the medication is used for anything other than the reason it was prescribed by a licensed psychiatrist (e.g. attention-deficit disorder) then according to legal terms the drug is being abused. At Open Avenue we only consider it abuse if there are significant disturbances to mental health, mood and emotional regulation, relationships, employment, and/or physical health as a result of the Adderall use. Like all drugs, some people are at greater risk than others for becoming addicted. Risk factors for Adderall addiction include 1) using the drug to cope with anxiety and/or stress, 2) perfectionistic tendencies, 3) negative body image issues, and 4) there is a greater risk of Adderall abuse becoming addiction for people that tend to be more socially isolated or lack meaningful relationships. Increasing tolerance (needing more Adderall to get same effect), frequency, and dose amount. Adderall at 60mg per day is the maximum amount most psychiatrists will prescribe to anyone with significant ADHD symptoms. Clearly, if someone without ADHD is using a dose close to or above that amount it would be a strong red flag for Adderall addiction. Method of absorption. Smoking or injecting the drug is much more indicative of a potential addiction to Adderall as opposed to abusing it through insufflation (“snorting”) or consuming it orally. Insufflation is common, however, most people who abuse Adderall don’t like snorting larges doses because the powder to potency gap is rather large (unlike cocaine, heroin, or meth in powder form). Psychological dependence. Taking Adderall simply to feel normal and cope with everyday situations, to the point where discontinuing the drug seems impossible. “I can’t live without it.” A person may feel the need to use it to get through the work day, tolerate the anxiety of social situations, and/or survive other perceived pressures (e.g. making sales calls). Making Adderall related activities a priority ahead of other concerns such as friends or work. Some people that abuse Adderall start to dedicate an exorbitant amount of time, an overinflated sense of importance, and increased rigidness for a particular task at the exclusion of all else (e.g. personal hygiene, sleep). Resorting to theft to get Adderall such as stealing pills from family members and/or friends with ADHD, stealing the money to purchase it illegally on the street, or even more extreme and risky forms of theft such as stealing a prescription pad from a licensed psychiatrist. Continuing to abuse the drug in the face of negative consequences and damaging side effects, such as hypertension, malnutrition, delusions (e.g. “the neighbors are spying on us”) hallucinations (e.g. hearing voices), and Adderall induced manic behavior such as impulsive shopping sprees, high risk sexual encounters, and reckless and damaging interpersonal interactions (e.g. angrily emailing/calling friends and family). First, it is important for us to do an assessment with the client (and often with the involvement of the client’s family) to determine the severity of the problem. Some people abuse Adderall in a “binge” fashion, some meet the full criteria for Adderall addiction, and others have used Adderall illegally and are experiencing an increasing amount of guilt for lying to parents, an increase in anxiety for abusing Adderall for the first time, or an increasing loss of control over their ability to use the drug as originally intended. 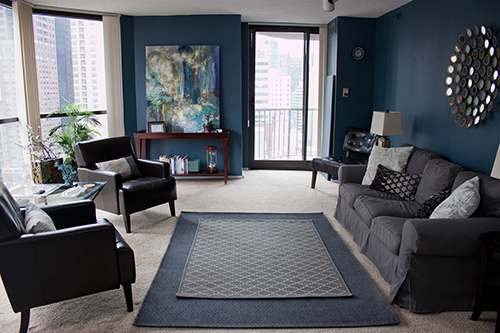 Second, we work collaboratively with clients to help them determine their goals for treatment. We take a non-judgemental stance to this process. While some people need help quitting their use of Adderall completely, others want help to gain control over their use by understanding the drug better while increasing their accountability to other important aspects of their lives such as relationships, work, and their physical health. Third, we help clients to achieve their goals through the therapy methods and techniques that are best suited to that particular client (e.g. Motivational Interviewing, Narrative Therapy, etc). If you or someone you know is abusing Adderall and needs help, contact Jake Colton LCSW CADC to schedule an office or online appointment. 15 min free consultations available. Most forms of insurance are accepted.